Exhibitions at Oklahoma Contemporary are free and open to the public, featuring a hands-on Learning Gallery for youth and adults. This interactive space encourages curiosity and invites all visitors to learn more about the work on view in the gallery. We provide exhibition-specific art projects, books and interactive elements appropriate for ages 4 and up. 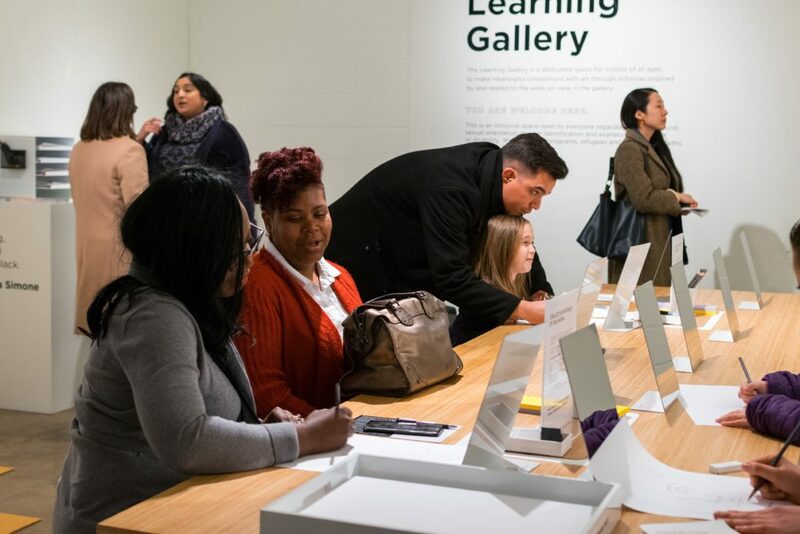 When their drawing is complete, visitors can choose to write a word or phrase on a sticky note, attach it to their self-portrait and leave it in a tray. Oklahoma Contemporary staff will regularly retrieve drawings, digitally add the provided text and prepare them to be wheatpasted. These drawings/posters will be wheatpasted as a collaborative community activity onto the Learning Gallery walls during Second Saturdays in March and April. Open Now until 10 p.m. • April 20, 2019 @ 7:29 p.m.